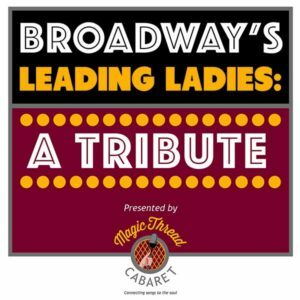 (INDIANAPOLIS) — Klein & Alvarez Productions, LLC partners Dustin Klein and Tom Alvarez announce their latest artistic endeavor, “Broadway’s Leading Ladies: A Tribute,” marking a return to the IndyFringe Festival. They produced “Calder, The Musical,” the top-selling show of Fringe Fest 2016, inspiring them to expand the show into a full-length musical, create the Magic Thread Cabaret series and most recently, break a box office record with “Katy Gentry is Judy Garland LIVE!” at The Cat Theatre in Carmel. 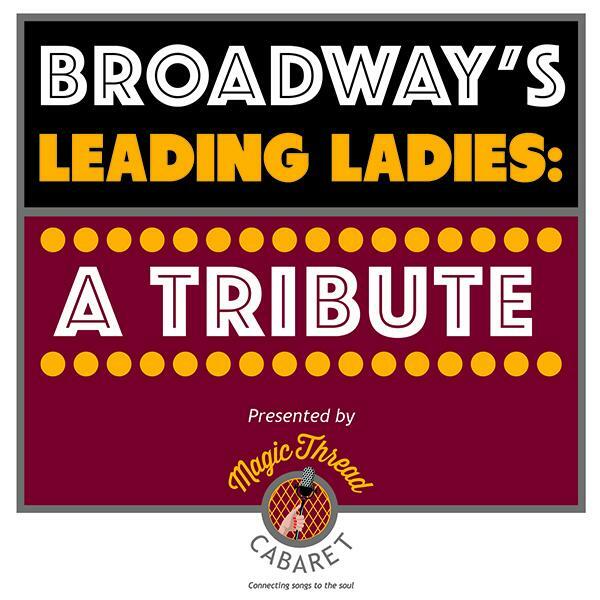 “Broadway’s Leading Ladies: A Tribute” is a 50-minute revue featuring three gifted Indianapolis singers, Shelbi Berry, Rayanna Bibbs and Virginia Vasquez, accompanied by a trio of seasoned musicians, performing songs made famous by the legendary women of Broadway. Audiences will enjoy hits from beloved musicals such as “Funny Girl,” “Wicked,” “Hamilton” and many more classic shows from the last 80 years. 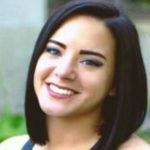 Shelbi Berry is a graduate of Marian University with a Bachelor of Arts in vocal music. She has appeared in several Indianapolis theatre productions, including BOBDIREX’s “The Hunchback of Notre Dame” (Esmeralda), the titular role in Footlite Musicals’ “Brooklyn,” and Buck Creek Players’ “Dogfight” (Marcy). She has also performed for the Brown County Playhouse Christmas Showcase and the Red Barn Summer Theatre’s production of “Tarzan” (Kala). Rayanna Bibbs is an Indianapolis native whose credits include Joanne Jefferson in “Rent,” Sofia in “The Color Purple” and Effie White in “Dreamgirls.” She has a bachelor’s degree in theatre from Indiana State University where she appeared in several musicals and performed in the Crossroads 50th Anniversary Cabaret for Crossroads Repertory Theatre in Terre Haute. Virginia Vasquez most recently played the villainous Lily in Booth Tarkington Civic Theatre’s production of “Annie.” Other favorite roles at Civic include Belle in “Disney’s Beauty and the Beast,” Cosette in “Les Misérables,” as well as roles in “Fiddler on the Roof” and “1940s Radio Hour.” Vasquez has also appeared on stage in Carmel Community Players’ “Ordinary Days” as Claire and “Company” as Jenny. In Indianapolis, she played Tuptim in “The King & I” at Footlite Musicals. 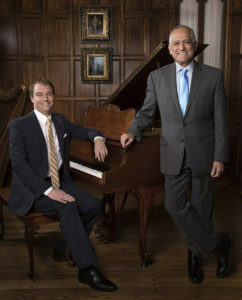 The musical trio features pianist Dustin Klein who is a principal of Klein & Alvarez Productions, LLC. Klein is a songwriter/composer, music director, producer and record producer. He has also acted and performed in several musical theatre productions and written several children’s plays as well. Klein holds a bachelor’s degree in music from Indiana State University. He also attended Butler University and received a Master of Music in 2010. He is an educator at The Orchard School, where he has been the choir director and drama teacher for 15 years, directing numerous musicals and plays. Drummer Greg Wolff earned both a bachelor’s and master’s degree from Ball State University, before going on to perform all over the world and here in Indiana as a marimba soloist with the Manchester Symphony Orchestra. Wolff performs regularly with the Anderson Symphony Orchestra, Muncie Symphony Orchestra, Actors Theatre of Indiana and Quint’Essence Percussion Ensemble. Continuing his passion for education, Greg has been an adjunct instructor for studio percussion and drum set studies at Ball State, as well as the current percussion director at New Castle and Mt. Vernon High Schools and teaching in his private studio The Wolff’s Den. Bassist Greg Gegogeine received his degree from Pennsylvania State University in turfgrass management and has been in the golf business for 40 years. Currently, he works for the city of Noblesville where he “keeps the greens” at historic Forest Park Golf Course. Gegogeine studied music composition and theory at Clarion University in Northern Pennsylvania, where he played bass in the local music scene. He currently performs with Actors Theatre of Indiana, Atlanta Music Hall and co-leads the String Art Jazz Duo. Austin Schlenz is the youngest member of the ensemble and is playing a chorus boy. He’s a recent graduate of Indiana University Bloomington, where he studied Animal Behavior and Biology. While at IU, Austin was a member of the Marching Hundred and Big Red Basketball Band. He also traveled around the country performing with the Blue Stars Drum & Bugle Corps playing baritone and performing with the color guard. When Fringe Fest wraps, Schlenz will move from his hometown of Greenwood to Florida to pursue a marine biology career with the Coral Restoration Foundation. Choreography for “Broadway’s Leading Ladies” is provided by Nicholas A. Owens. 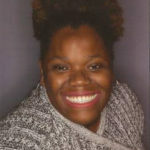 Owens, a freelance choreographer, co-founded Kenyetta Dance Company and was the associate artistic director of Iibada Dance Company. He has also been a guest choreographer for Dance Kaleidoscope. 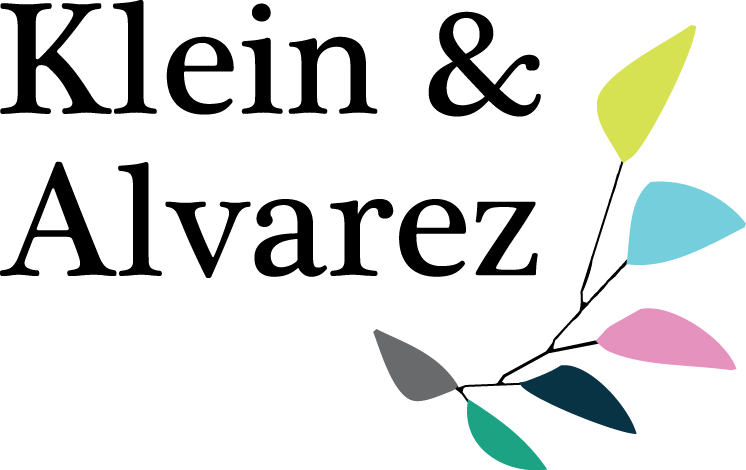 Magic Thread Cabaret is a nonprofit venture with the goal of “Connecting songs to the soul.” Its 2017-2018 season, presented at The Cat Theatre, is made possible by a generous $10,000 gift from arts patrons and philanthropists Marianne Glick and Mike Woods. Other donors include Frank and Katrina Basile, Terry and Louise Lingner, Christina Kite, Noble Consulting, Diane Meyer Simon, Rachel Simon, BMO Harris Bank, Nancy Landman and Jeri Starbuck. The series is fiscally sponsored by Fractured Atlas, the New York-based nonprofit technology company that provides business tools for artists. Current Publishing is its media sponsor. Six performances of “Broadway’s Leading Ladies: A Tribute” will take place during IndyFringe Festival 2018, all staged at the Firefighters Union Hall, Third Floor, 748 Mass Ave., Indianapolis, IN 46204. Friday, Aug. 17th at 10:30 p.m.
Saturday, Aug. 18 at 9:00 p.m.
Sunday, Aug. 19 at 4:30 p.m.
Wednesday, Aug. 22 at 7:30 p.m.
Saturday, Aug. 25 at 1:30 p.m.
Sunday, Aug. 26 at 6:00 p.m.
Tickets are $15 for adults, $12 for students and seniors and $10 for children under 12. 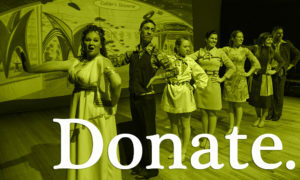 Tickets can be purchased online at www.indyfringe.org, by phone at 317-292-4429 or 317-292-6910, or in person at IndyFringe Theatre, 719 E St. Clair St. or Firefighters Union Hall at 748 Mass Ave. There is a $1 service fee for online or credit/debit card orders. Patrons can also buy tickets and find out what’s next for Magic Thread Cabaret at www.kleinandalvarez.com.